Q: How much will it cost me for postage? Q: How long does it take to deliver and what delivery services do you use? A: All orders are shipped out within 24 hours Monday-Friday using the Royal Mail postage service. Q: My parcel hasn’t arrived, what should I do now? A: If your order has not arrived within the estimated delivery time then please contact us through our contact page so that we can help you resolve it. A: You can contact us through our contact page to cancel any order before it is dispatched. A: Paypal. You can also purchase goods using Ezee Points. Q: Do your products comply with our government regulations? A: Yes. We understand different governments have different requirements on the products. We know exactly what the requirements are and we provide you with the products that comply with the laws and regulations. 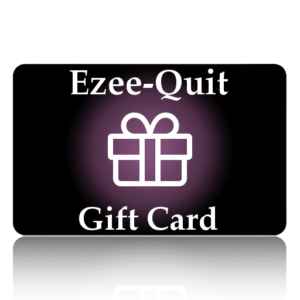 Q: Is Ezee-Quit electronic cigarette and E-liquid juice safe? A: Ezee-quit products have been tested thoroughly and are certificated by numerous internationally recognised regulatory bodies and safety organisations, including European TUV, SGS, CE and RoHS. Q: How long does it take to recharge the battery? How long does a fully charged battery last for? A: It depends on the model you are using. Please contact us through our contact page with any questions regarding the goods that we sell. Q: Does Ezee-Quit E-Liquids contain nicotine? A: We supply both nicotine containing and nicotine free products.